Gulshan Bellina is a luxurious residential property by Gulshan Homz in Noida Extension (Greater Noida West). 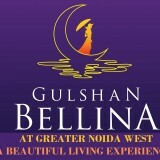 2 & 3 BHK Floor Size 1024-1745 sqft Flats For Sale in Greater Noida Gulshan Bellina Starting at 36 Lakhs. Gulshan Bellina Noida Extension coming with a Navratri offer so this is the right time to buy your dream home at most sought location Noida Extension. The Property for sale in Greater Noida West Gulshan Bellina tower with world-class amenities like basketball court, swimming pool, all time security system. All-time facility of Electricity & Water Supply, Kid’s Play Area & many more.